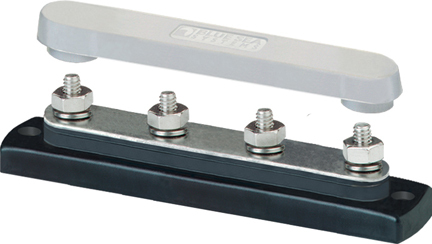 Pressed-on busbar Because the bus is pressed on to the stainless steel terminal studs, it doesnt require a securing nut that can come loose. 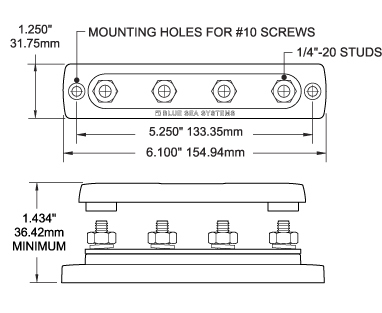 In addition, there is a direct compression connection between the copper busbar and wire terminals instead of to a retaining nut. Heat resistant base material Base material made of reinforced polycarbonate resists high heatit will not burn in the absence of a flame.